Well it’s Monday and I already miss the camping lol. Can you tell we are campers at heart? 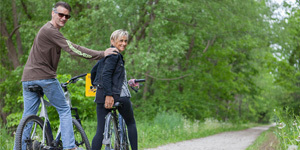 We really enjoy being out doors and away from the hustle and bustle of city life. There’s something really calming about being up “North” where it’s quiet and beautiful. It also didn’t help that it poured down almost the whole day! Not good when you ride a bike to work! Not to worry, Mondays are Game of Throne nights at our house and we all cuddle up on the big comfy couch and watch the latest episode. 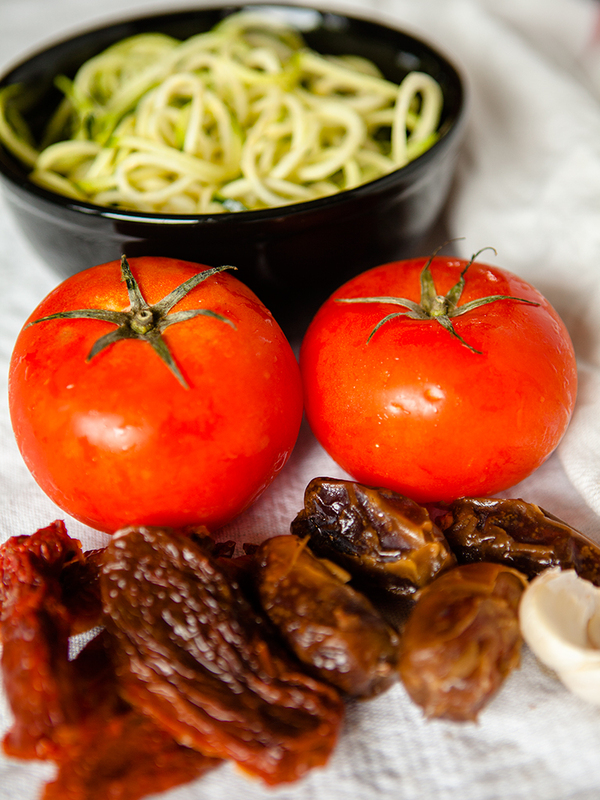 I try to incorporate some raw dishes into my life style other than salads. This is a raw tomato garlic sauce with zucchini noodles. 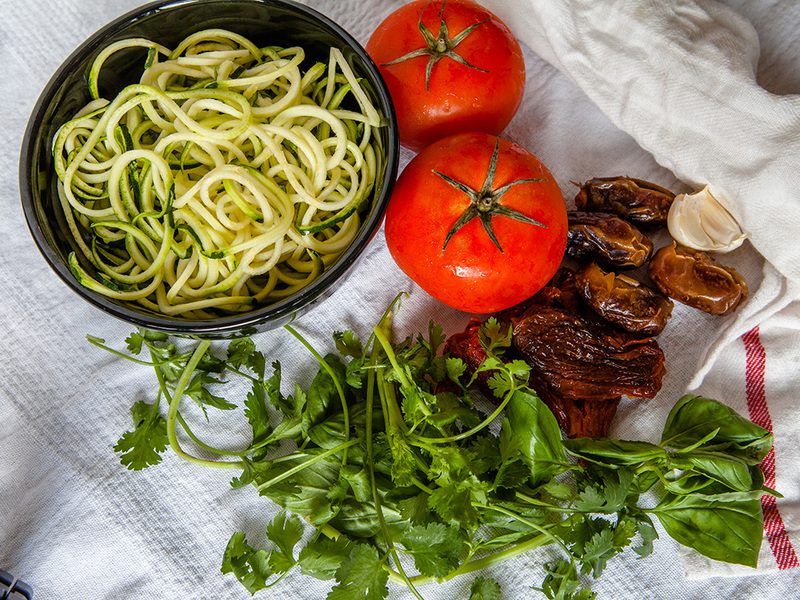 Zucchini noodles known as “zoodles” can replace spaghetti as a lower carb meal. These noodles are simple to make and taste great! If you don’t like the noodles cold you could always warm them a little which will also warm up your sauce. 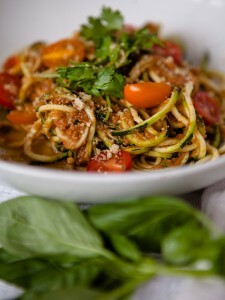 Zucchini noodles are so simple to make, I use a spiralizer as in the above picture. 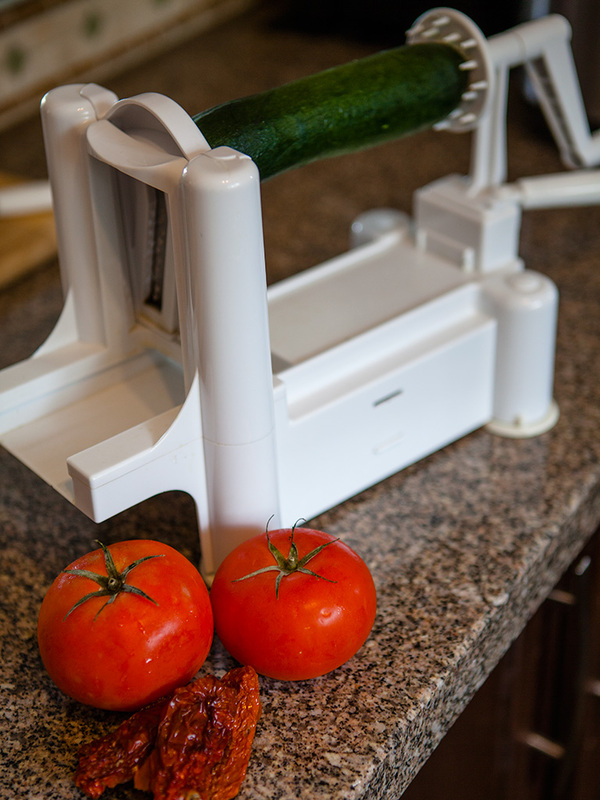 If you don’t have one you could use a julienne peeler. This sauce is so simple to make everything gets thrown into a blender. I’ve mentioned before that I have a Vitamix which I love and would recommend to anyone. 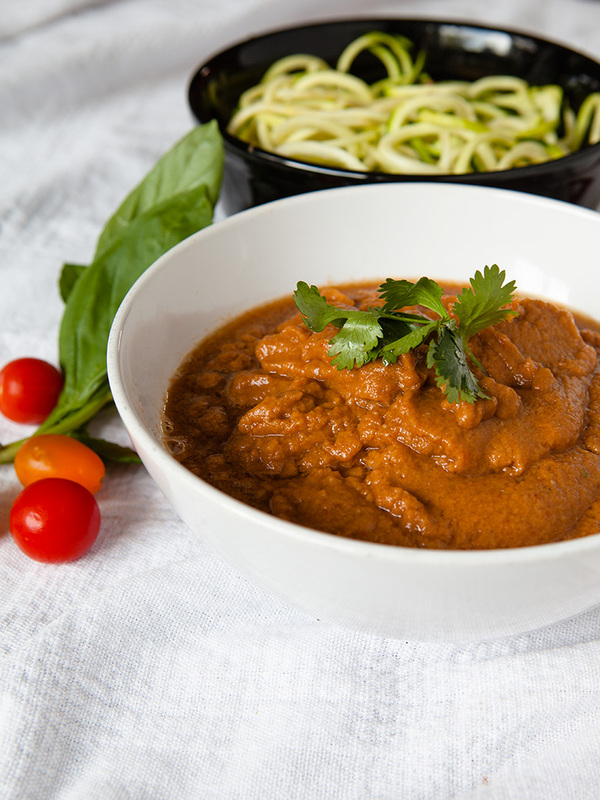 it’s a thick and creamy sauce that can be used with pasta, vegan meat balls or a raw vegan lasagna. I completed this dish with cherry tomatoes and Brazil nut Parmesan. 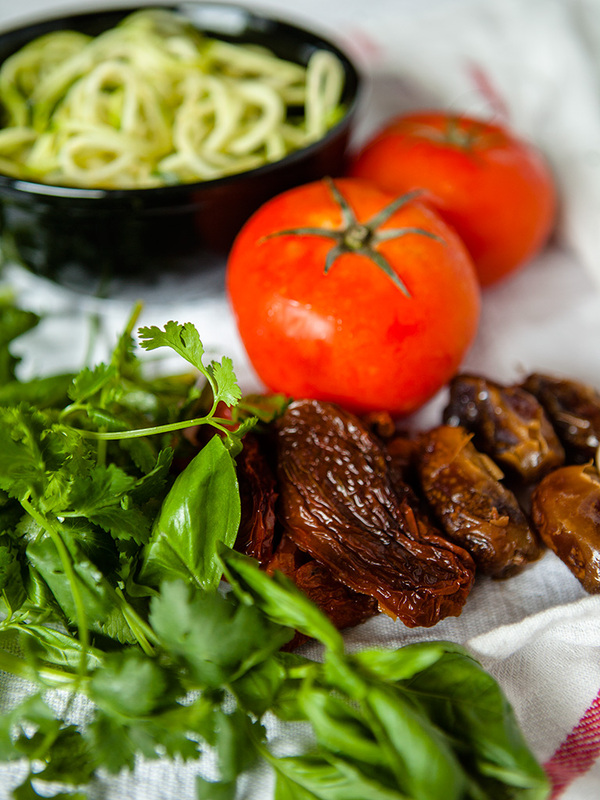 Soak the sun dried tomatoes and pitted dates for 4 hours and drain. Place all ingredients into Vitamix or blender in the order listed. Turn Vitamix on and slowly increase speed to 10 then high. Blend for 30-40 seconds until you reach desired smoothness. 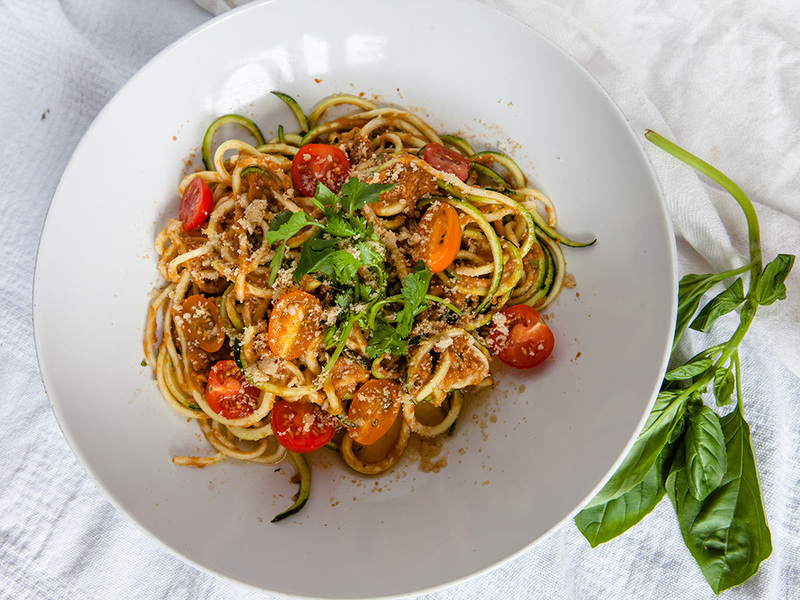 Spiralize one zucchini per person. Top with sauce and toss noodles. Sprinkle with vegan nut cheese and cherry tomatoes.